We provide a counselling and play therapy service for over 90 schools and colleges in East and West Sussex, Social Care services, Young Carers, Think Family, Children and Young People’s Planning Forum and The Virtual School for Looked After Learners. Alongside our counselling and play therapy service we provide consultancy and training to help professionals and family members have the best understanding they can of children and young people’s mental health. Suzanne set up the original Your Space Counselling and Play Therapy Service over twelve years ago and has over twenty years experience of working psychotherapeutically with children, young people and their families in a range of settings including schools, academies and tier four inpatient CAMHS. Suzanne is passionate about implementing step change in emotional well-being, mental health and academic attainment for children, young people and whole school communities. Believing whole heartedly in our ethos of creating secure attachments which will result in robust learning and better futures for whole communities. 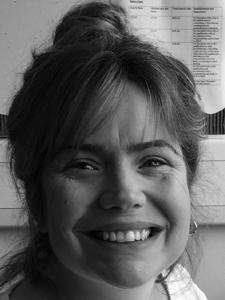 Emma has a Masters degree in Integrative Child Psychotherapy, which she studied at The Institute for Arts and Therapy in Education, Emma is also accredited by the UKCP. As well as practicing as a child psychotherapist in Primary schools Emma is also a Director, consultant and trainer for Your Space Therapies Limited. Emma has worked with children for over sixteen years starting her career in therapy by working for Childline for three years. Emma then went on to specialise in bereavement work by working for CRUSE bereavement care and providing support for children and adults. 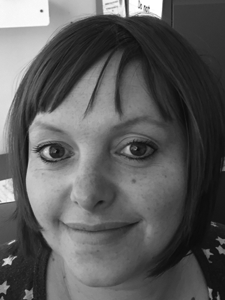 Emma’s background is mostly in education having worked as a specialist attachment teaching assistant during her psychotherapy training, and she has had extensive experience in working with children who have learning disabilities and emotional difficulties. Emma has worked in an orphanage in Roysambu, Kenya, where she provided therapeutic group work for children who had experienced trauma. In this role she also advised carers and potential adoptive parents on how to bond and nurture secure attachments with the children and babies at the orphanage. Emma has worked as a consultant in a psychiatric hospital for adolescents and is also part of the exam panel for the Child Psychotherapy Masters and Child Counselling Diploma at The Institute for Arts and Therapy in Education.